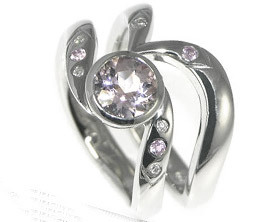 Sam had a good idea about the kind of engagement ring that Katherine would love as she had collected images from magazines and online. 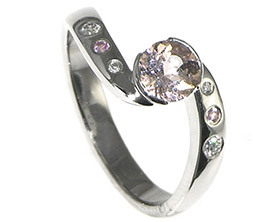 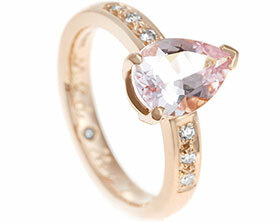 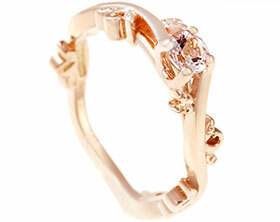 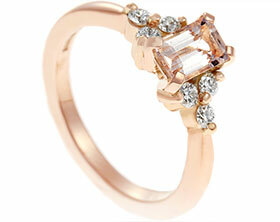 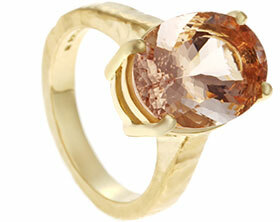 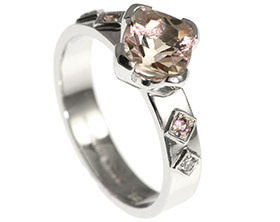 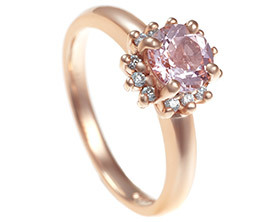 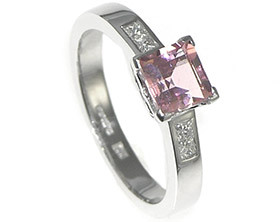 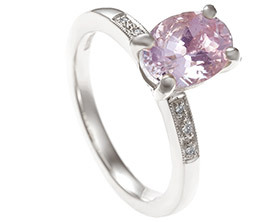 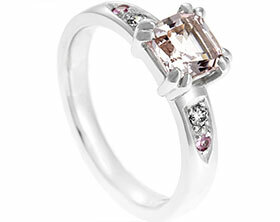 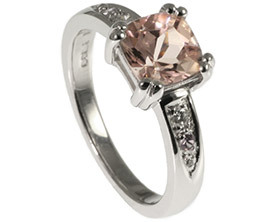 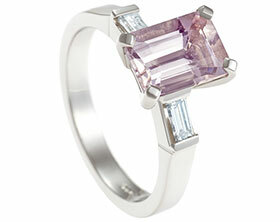 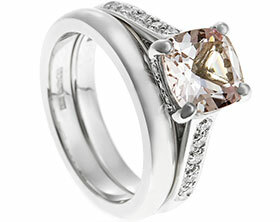 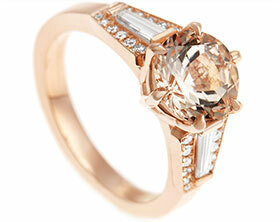 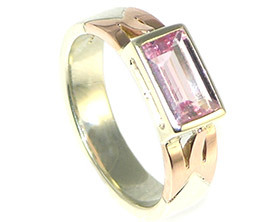 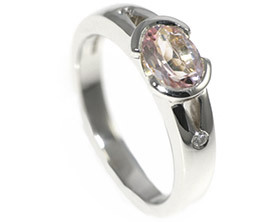 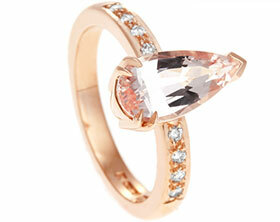 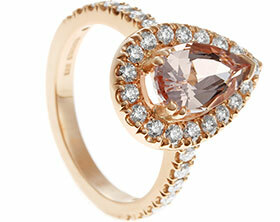 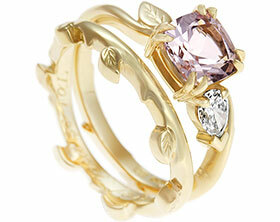 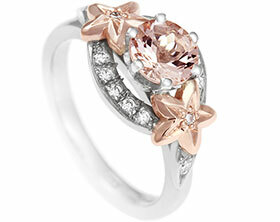 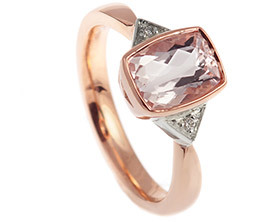 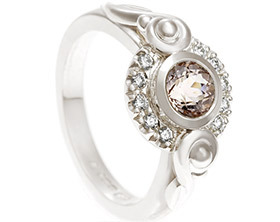 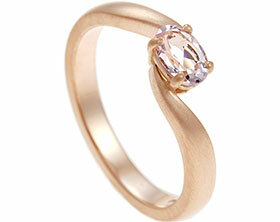 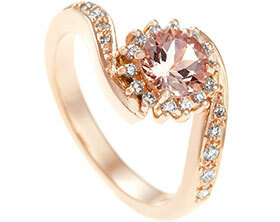 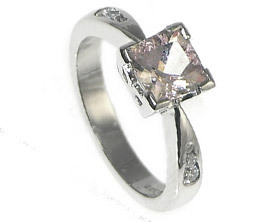 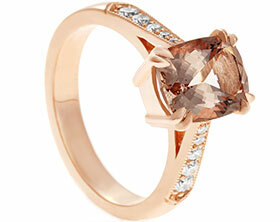 At the centre of the design is a 0.80ct pear cut morganite which is held in an end only claw setting. 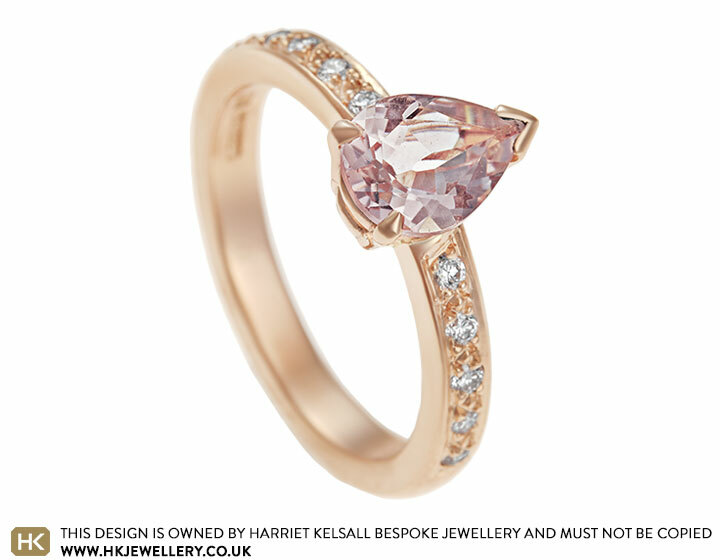 Each shoulder of the 9 carat rose gold band has been thread and grain set with five round brilliant cut diamonds to add extra sparkle to the design. 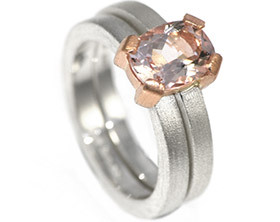 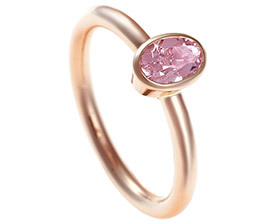 The warm rose colour of the metal enhances the beautiful pink tones of the morganite to create Katherine’s perfect engagement ring.